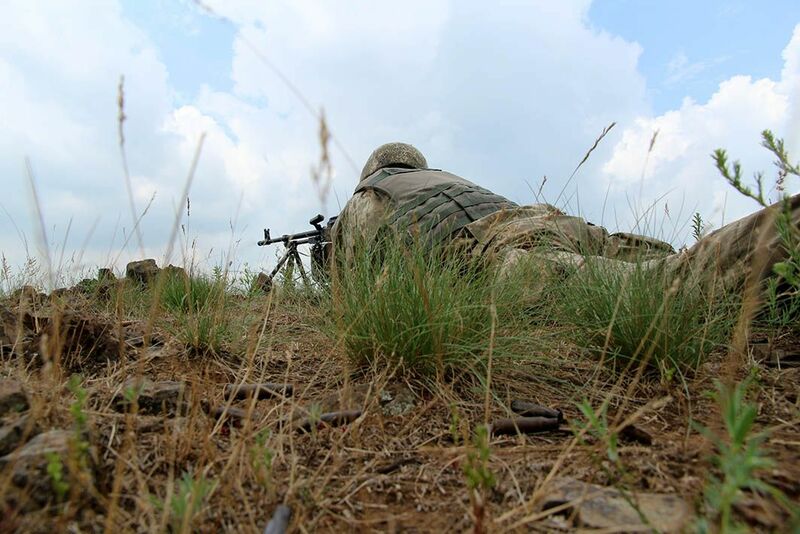 Russia's hybrid military forces attacked Ukrainian army positions in Donbas 27 times in the past 24 hours, with two Ukrainian soldiers reported as wounded in action (WIA), according to the press service of the Anti-Terrorist Operation (ATO) Headquarters. "The Donetsk sector saw most of escalation: the Russian-backed mercenaries fired 120mm and 82mm mortars, heavy machine guns and grenade launchers four times on our positions near the town of Avdiyivka. In the evening and at night, the invaders also attacked the Ukrainian fortified positions near the village of Pisky three times, using 120mm and 82mm mortars, grenade launchers, infantry fighting vehicles and small arms. In addition, the enemy lobbed twelve 82mm shells into area near the village of Kamianka at about 20:00 Kyiv time," the report says. Read alsoUkraine army positions in Donbas attacked 36 times in last dayIn the Mariupol sector, the militants used a mortar and grenade launcher near the village of Shyrokyne. They also attacked the Ukrainian fortified positions near the village of Vodiane twice. The only hot spot in the Luhansk sector was the village of Krymske where the enemy opened fire from grenade launchers and heavy machine guns to shell the Ukrainian fortified positions in the evening. "In some cases when there was a direct threat to the life of the Ukrainian military, ATO troops were forced to return fire several times," the ATO HQ said.